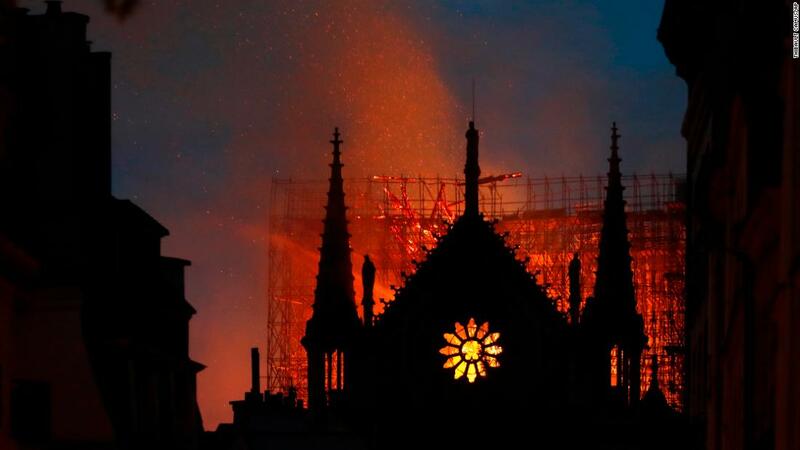 Paris (CNN) Prosecutors investigating the causes of the inferno that tore through Notre Dame cathedral in Paris have interviewed construction workers and security staff, as more details emerged about the effort to contain the blaze. 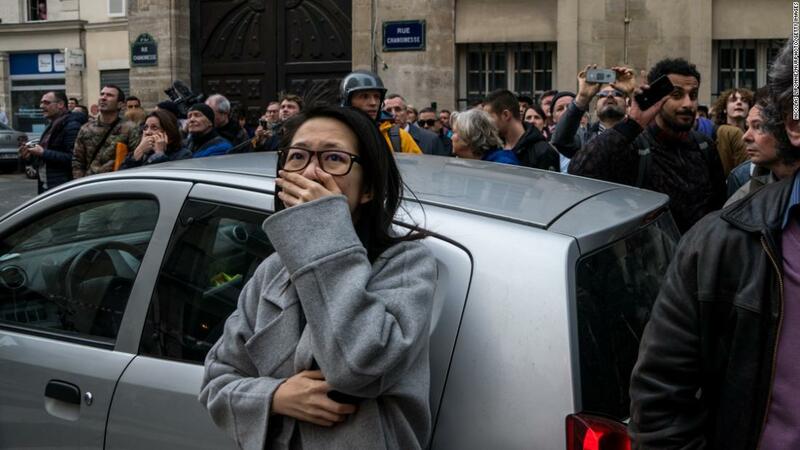 Thirty employees working at the Paris landmark before the fire broke out were interviewed by Paris prosecutors on Tuesday, the Paris prosecutor’s office said. Those were due to continue on Wednesday. 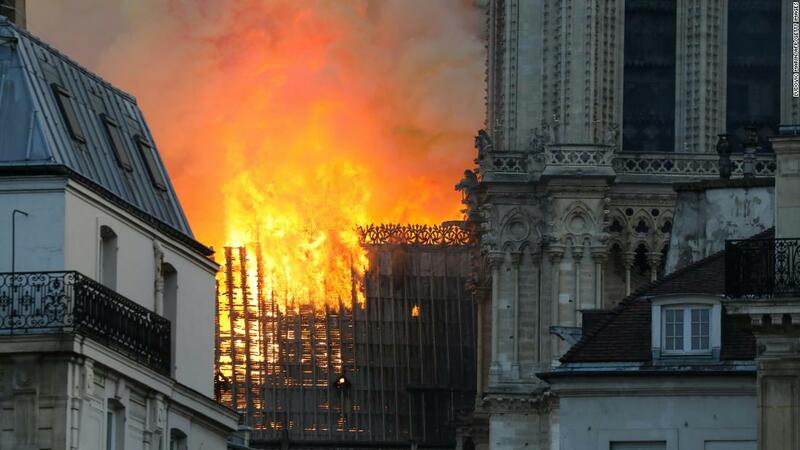 «If the flames had actually got to the timber frames of the belfries then we would have lost the cathedral completely because it would have led to a chain reaction of collapse,» said Gabriel Plus, a spokesman for the fire service. 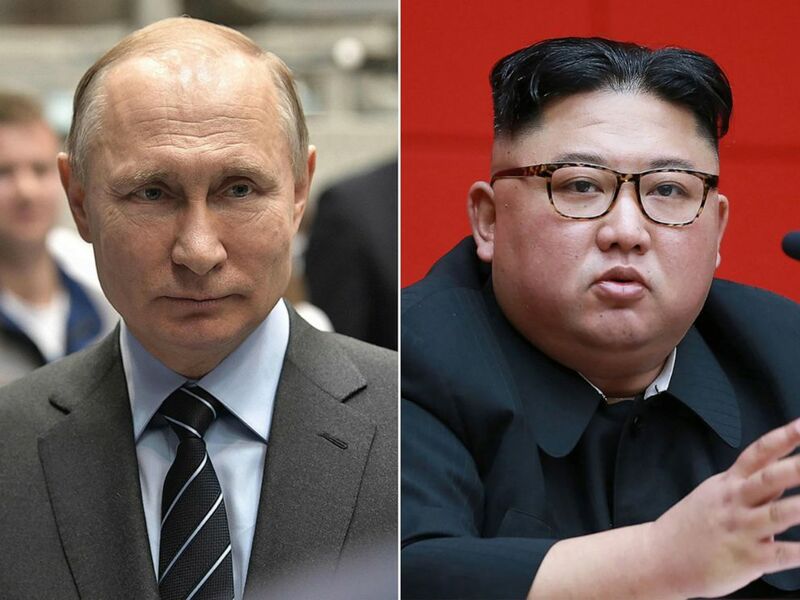 Philippe Demay, Deputy Chief of the Paris Fire Brigade, told reporters on Wednesday that the operation to put out the flames was «complex,» and the «most complicated» he had ever encountered. 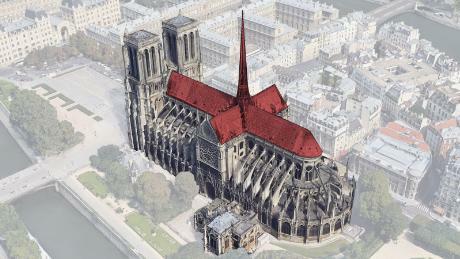 The French government said it was committed to rebuilding the the cathedral. 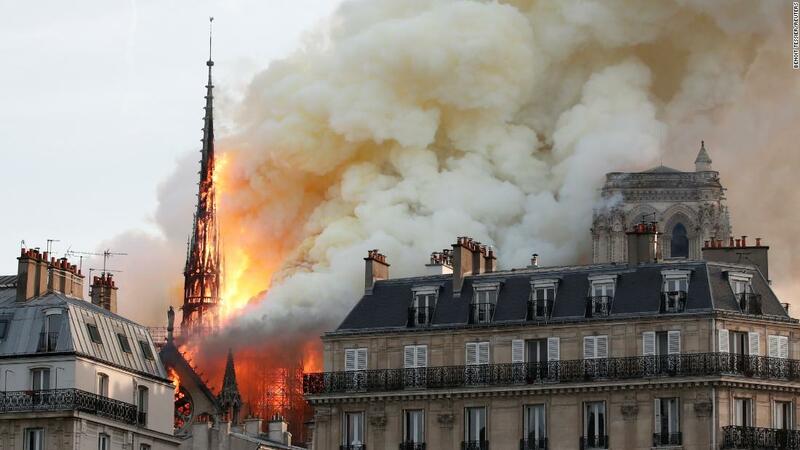 Prime Minister Edouard Philippe announced an international architects’ competition to replace the building’s fallen spire. As the scale of the damage became clear, investigators said they were determined to get to the bottom of how the blaze started. 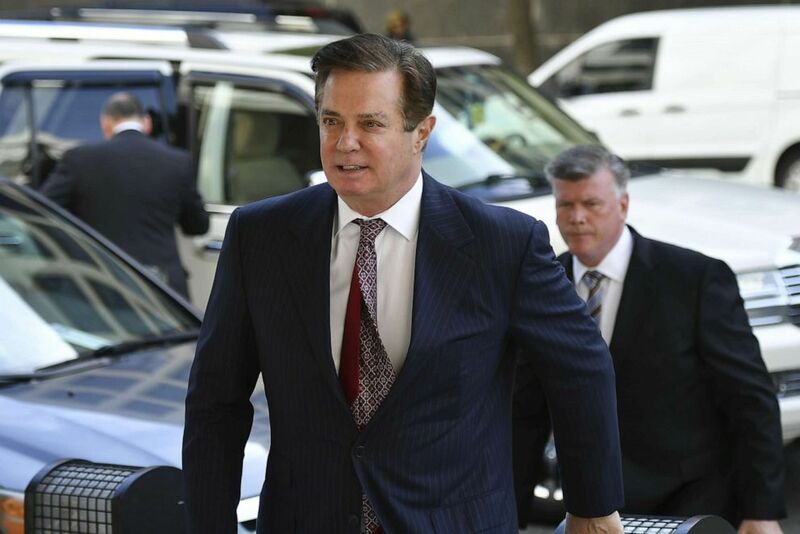 «Investigations continue to search for the truth and identify the origins and causes of the fire,» the Paris prosecutor’s office said. 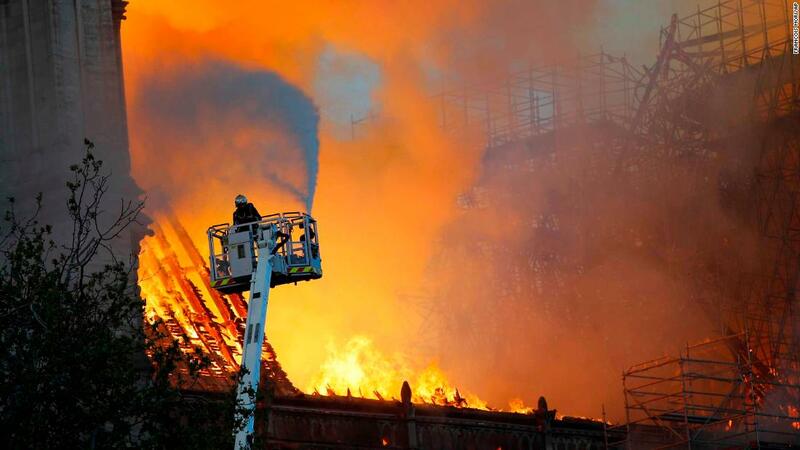 Of the four companies contracted to carry out renovations at Notre Dame, only two companies, scaffolding firm Europe Echafaudage and art conservationists Socra, had work in progress there at the time of the fire. 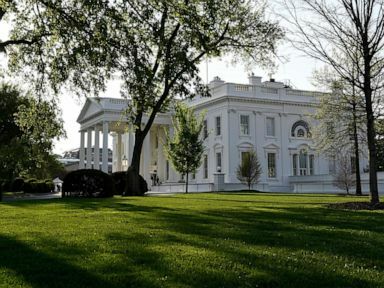 Neither company had workers on site when the fire broke out, CNN has been told. 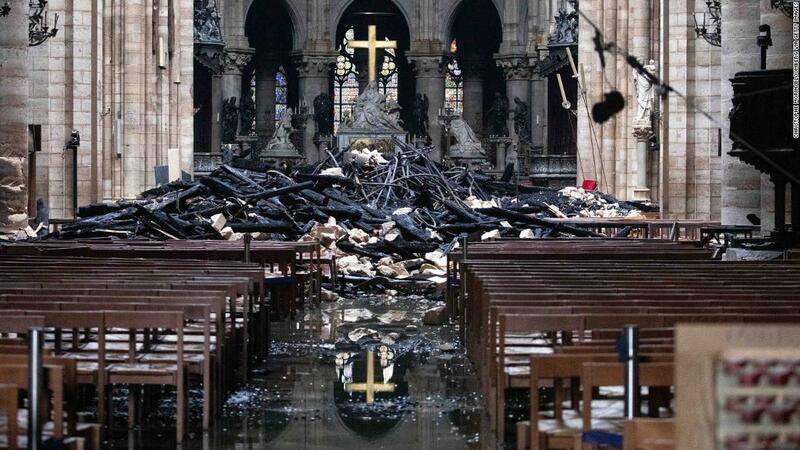 Debris from the roof lies near the altar inside Notre Dame Cathedral in Paris on Tuesday, April 16. 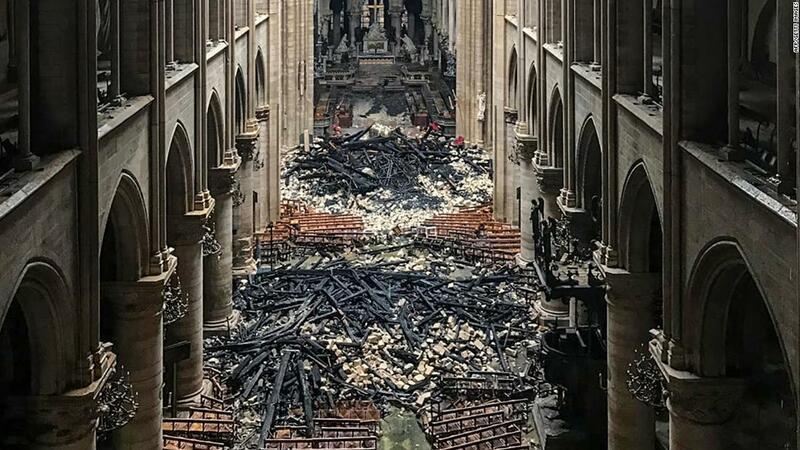 Daylight shines through the fallen roof of Notre Dame on April 16. 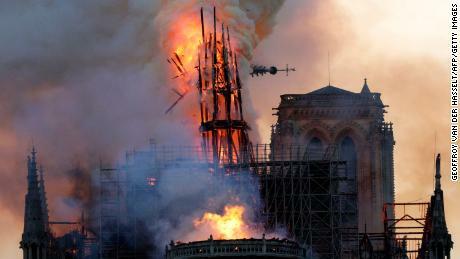 The interior of Notre Dame is seen in this photo taken April 16. A man inspects damage near charred windows. 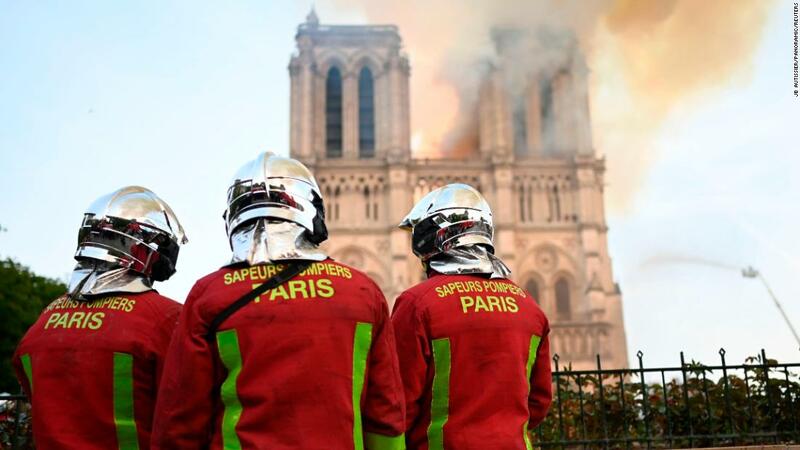 Firefighters exit Notre Dame Cathedral on April 16. 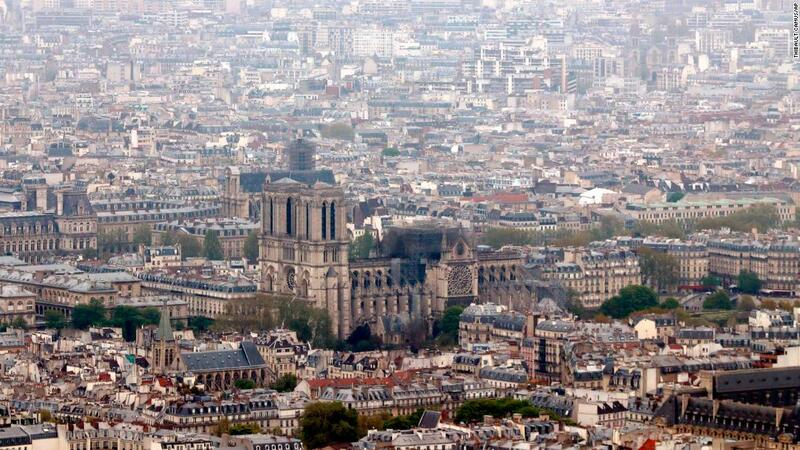 The burnt out cathedral is seen from the top of the Montparnasse tower the day after the fire. 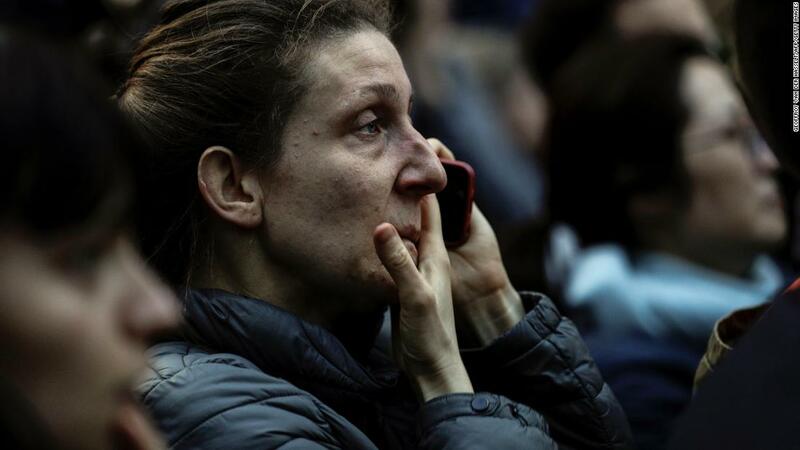 A woman reacts near Notre Dame the morning after the devastating fire. A crane lifts experts as they inspect the damage. 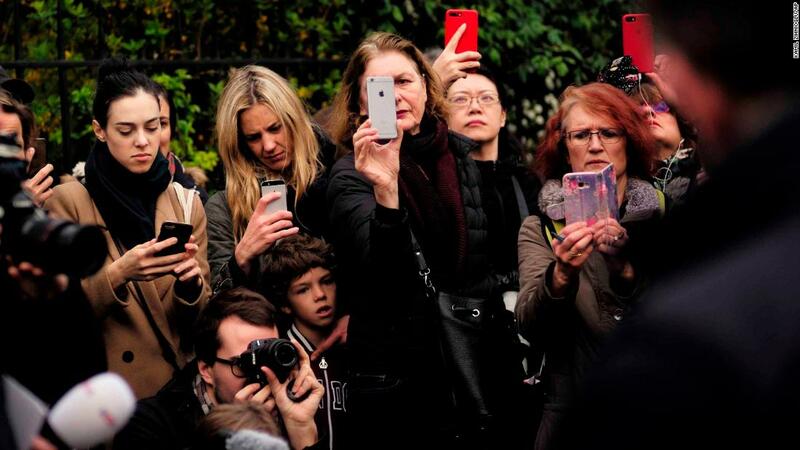 People take photos at the scene, the morning after the fire. 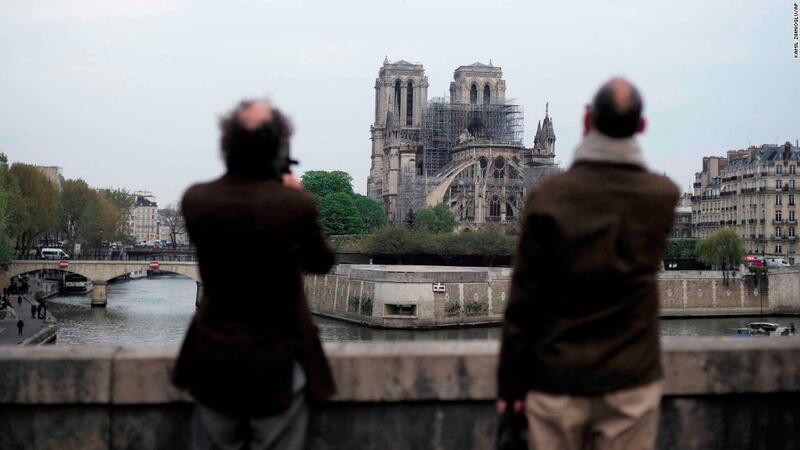 People stop to view Notre Dame Cathedral on Tuesday morning. 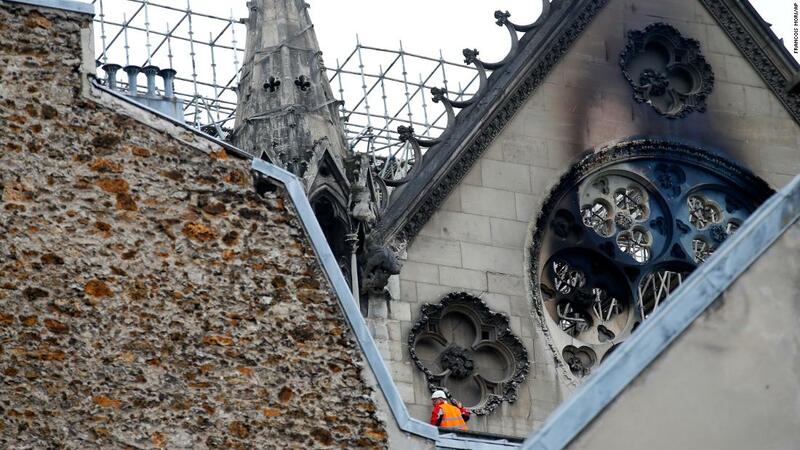 Fire crews continue to secure the cathedral on Tuesday. 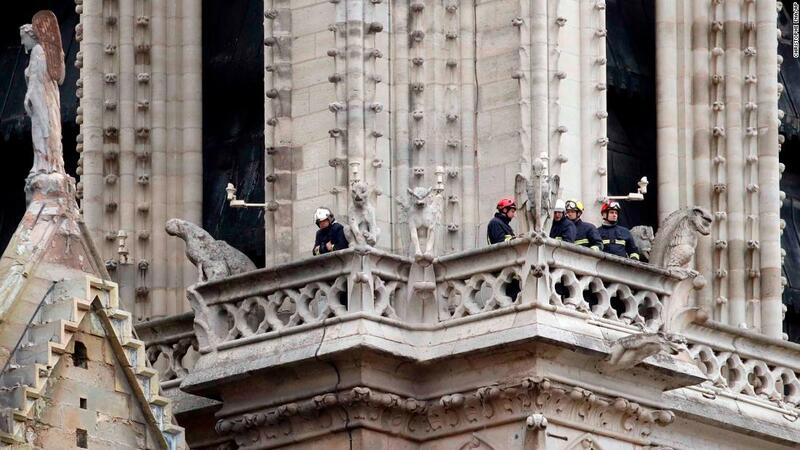 Members of the fire department inspect the cathedral. 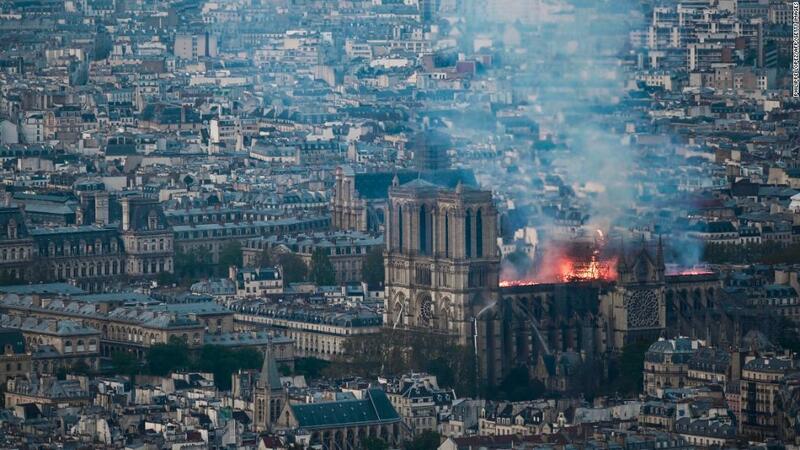 Notre Dame is seen at sunrise as firefighters continue to work at the cathedral on the morning of April 16. A handout image photographed on a television screen shows an aerial view of Notre Dame Cathedral engulfed in flames on Monday, April 15. 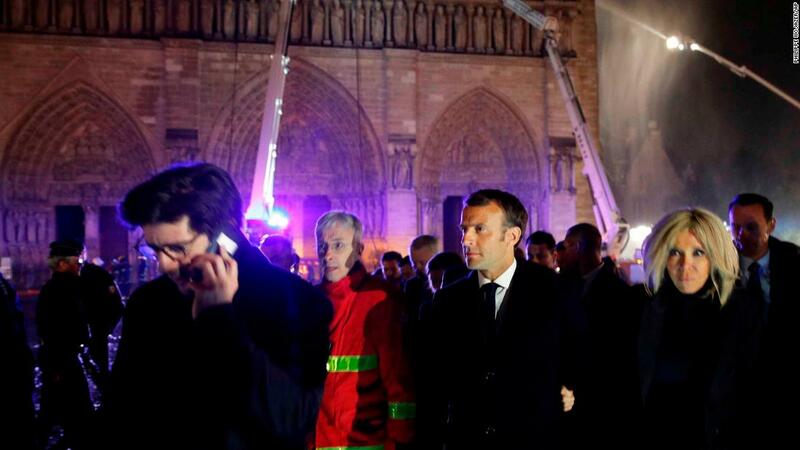 French President Emmanuel Macron, center, and his wife Brigitte at the scene of the fire on Monday evening. 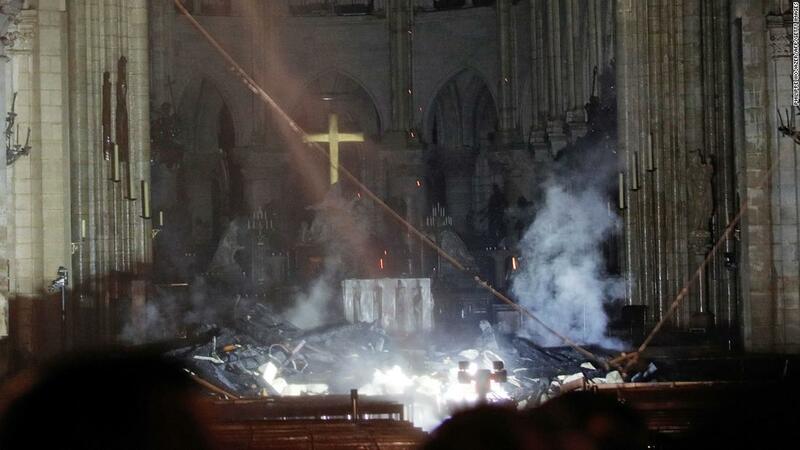 Smoke rises in front of the altar cross inside Notre Dame Cathedral. 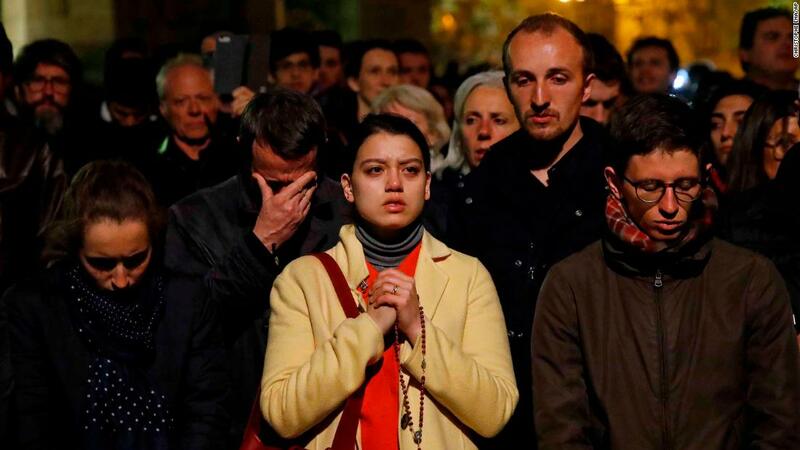 People pray as Notre Dame Cathedral burns on Monday evening. 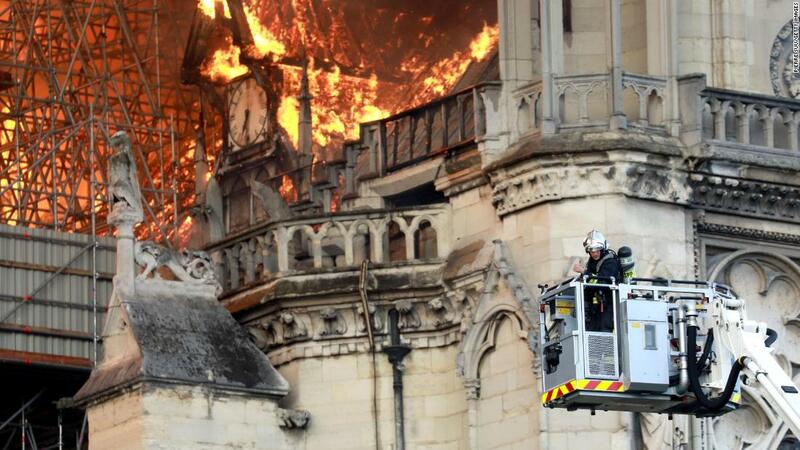 A firefighter uses a hose to tackle the flames as the cathedral’s roof burns. 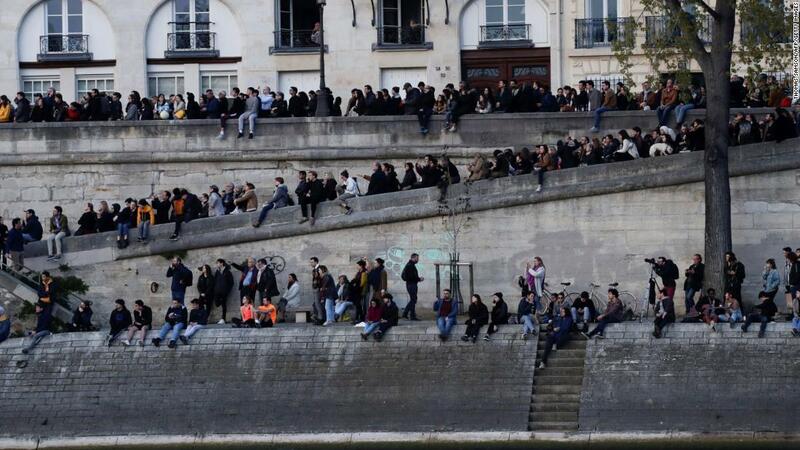 Crowds gathered on the banks of the Seine watch the firefighters’ progress. 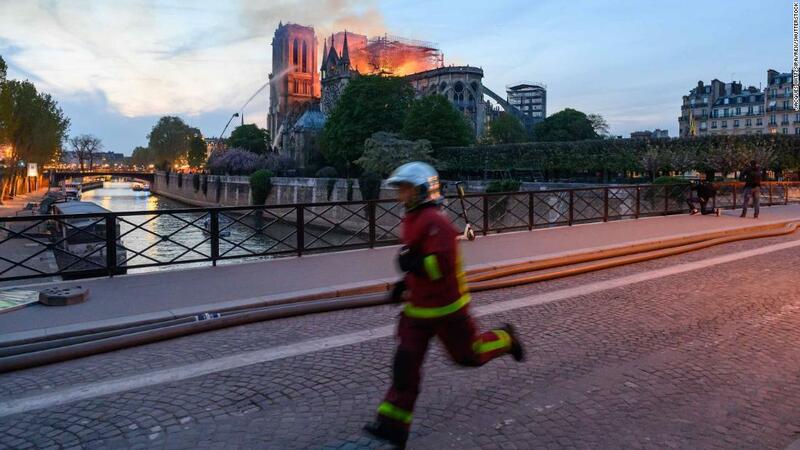 Flames and smoke rise from Notre Dame as a firefighter rushes past. The fire continues to burn into the night. 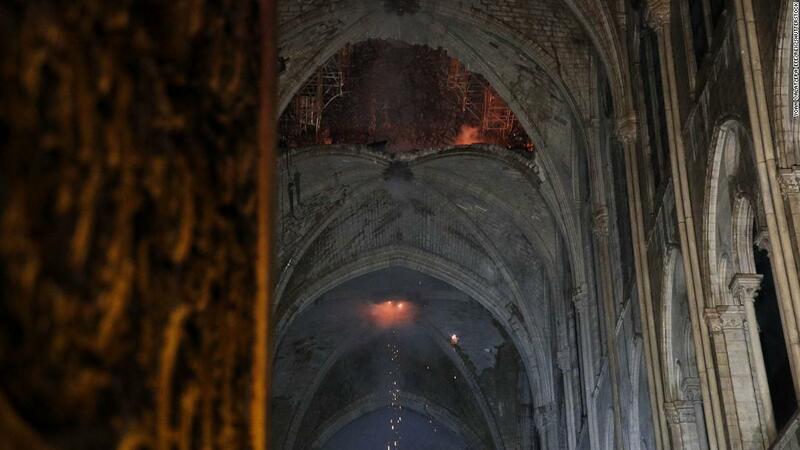 The interior of the cathedral roof is seen smoldering. Located on the Île de la Cité, a small island in the Seine, in central Paris, the cathedral is one of the city’s most popular attractions, drawing an estimated 13 million visitors a year. 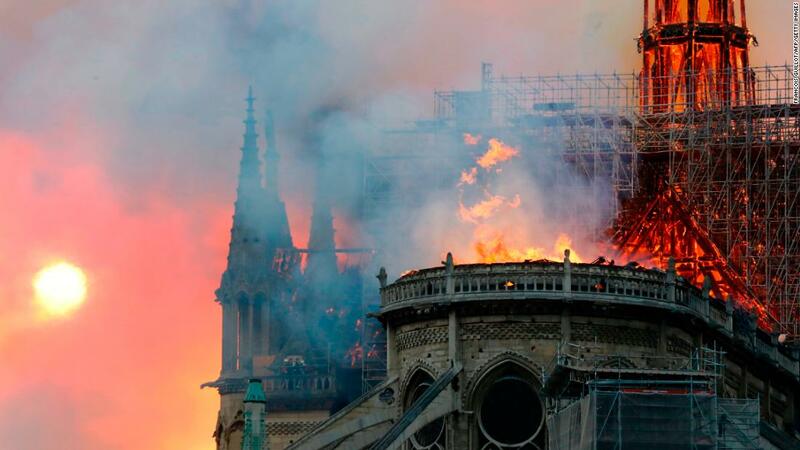 Smoke and flames rise from Notre Dame cathedral on April 15. 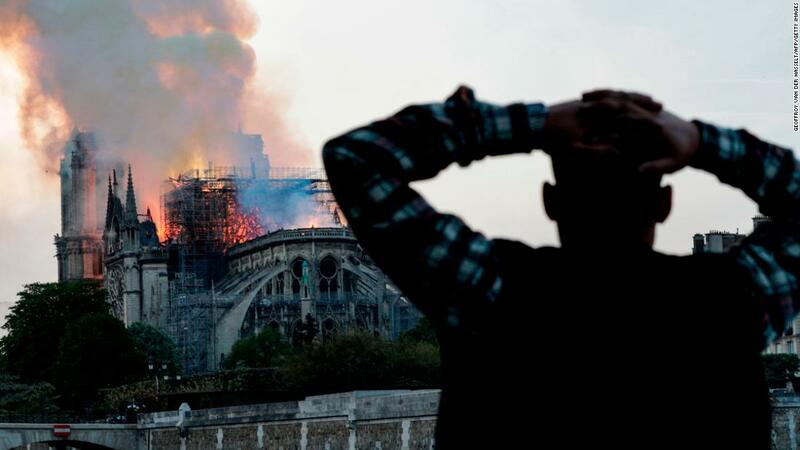 A woman reacts as she watches flames engulf the roof of the cathedral. 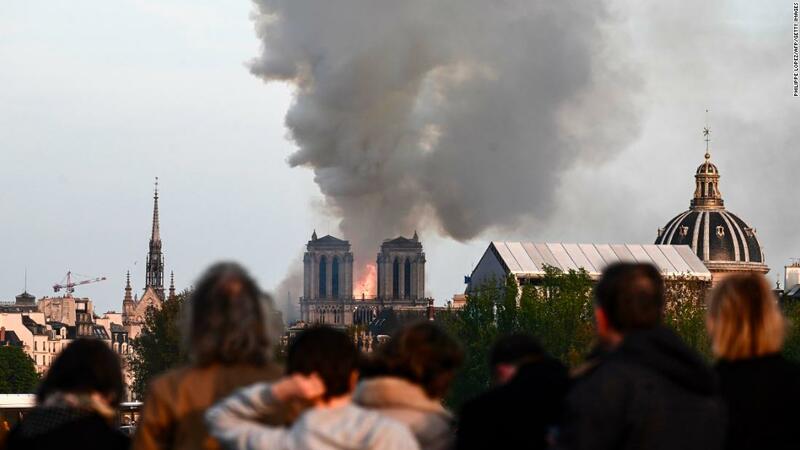 Smoke billows from the cathedral’s roof and spire during the fire. 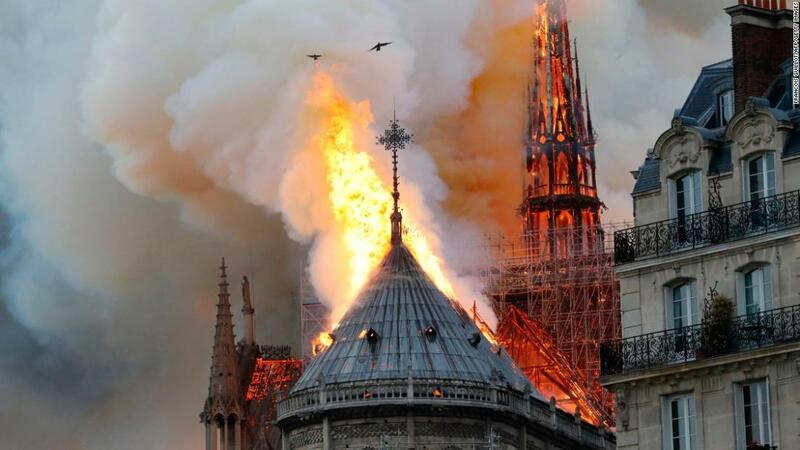 Passers-by watch the cathedral burn. 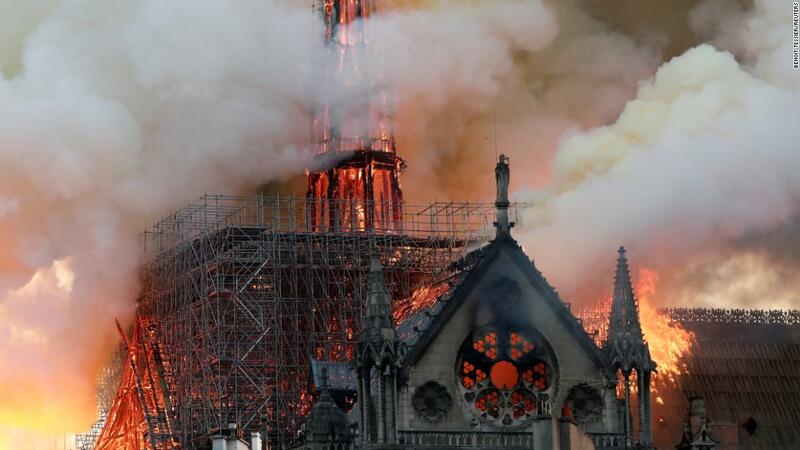 «It’s tremendously sad to see this happening to such an iconic monument,» bystander Cameron Mitchell told CNN. Huge clouds of smoke rise into the evening sky as fire engulfs the cathedral. 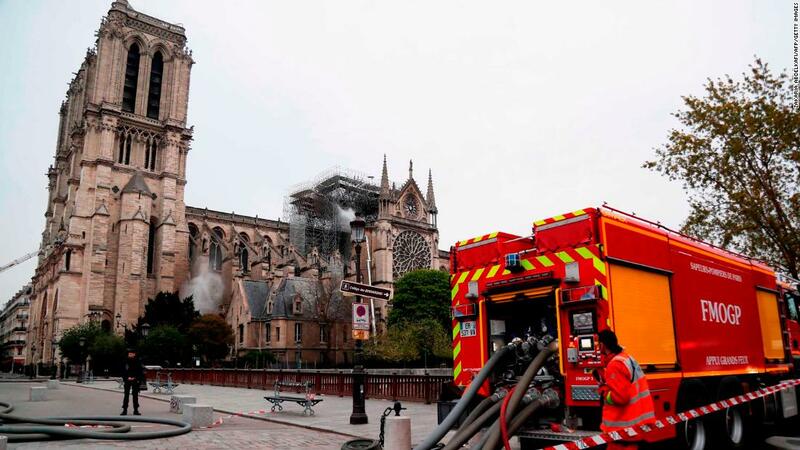 Firefighters worried the cathedral’s two bell towers would be destroyed. 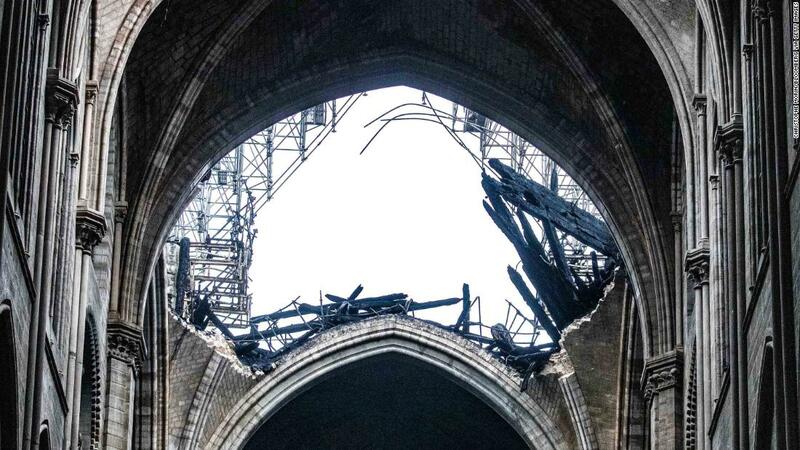 The spire of the landmark cathedral collapses. 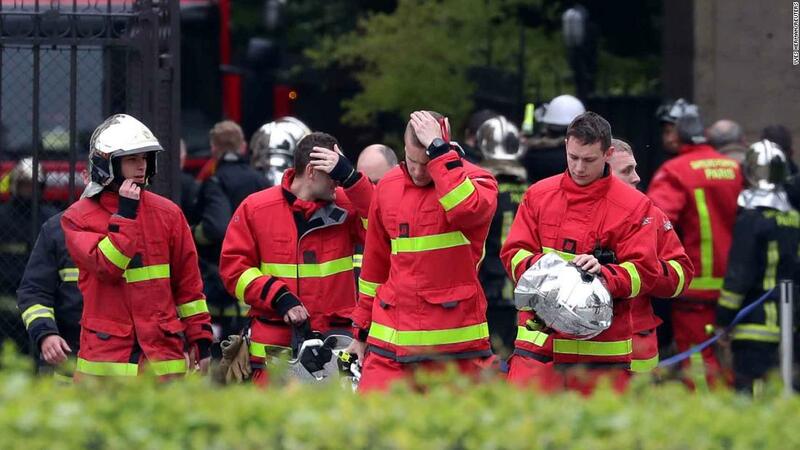 A man holds his head in shock as watches the fire take hold. 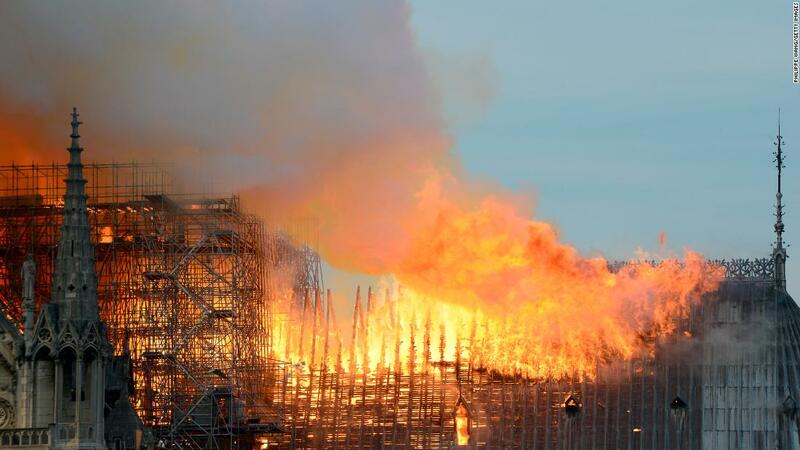 The roof of the cathedral burns. Horrified bystanders react to the fire. A firefighter gets closer to the flames. Police urged everyone to avoid the area and emergency services directed people away from the scene. 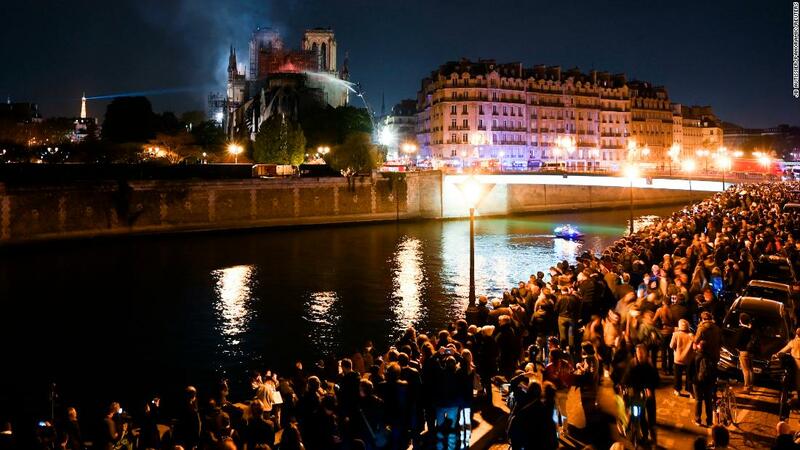 People gather on the banks of the Seine to watch the fire’s progress. 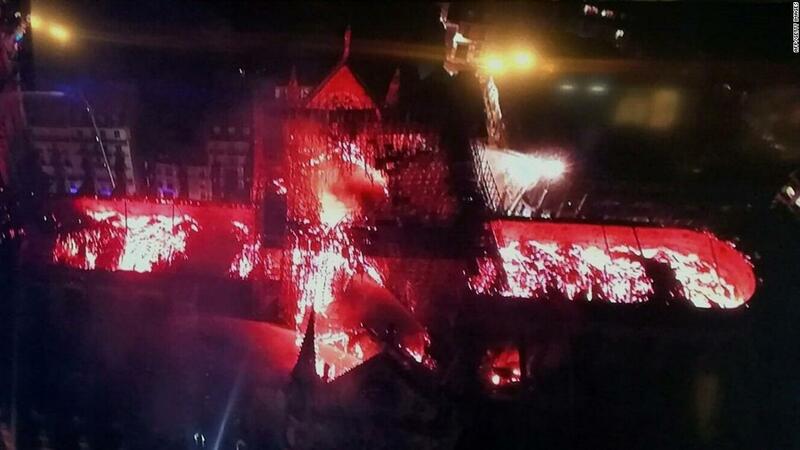 Flames roar across the roof of the cathedral. 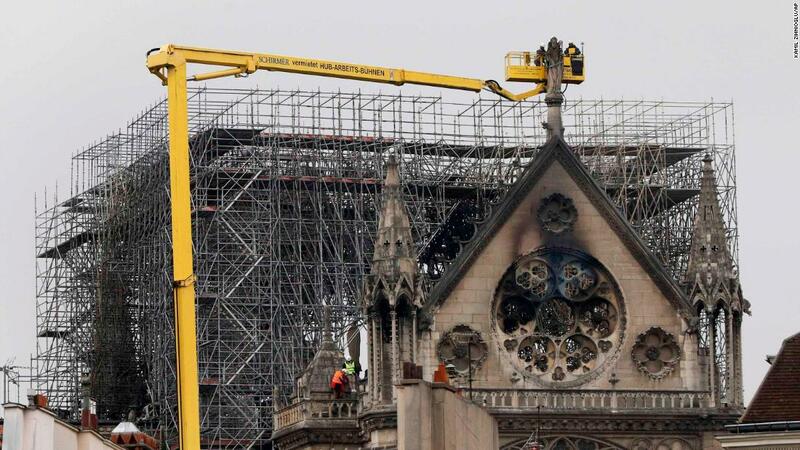 Patrick Palen, a spokesman for Socra, which was brought in to refurbish statuettes from the cathedral, told CNN that workers from the company removed 12 statues of the apostles and four of evangelists from the cathedral last week. Those statues were being held safely in an off-site workshop at the time of the fire. Palen said Socra employees were not at Notre Dame during the fire. 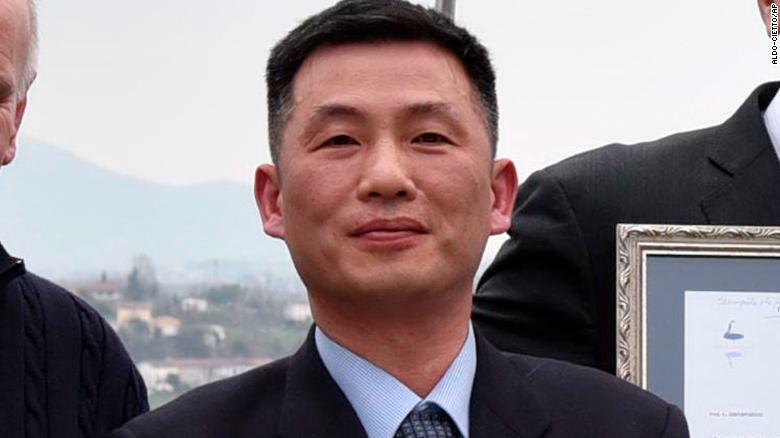 Questions have been raised about why the blaze was not tackled sooner. 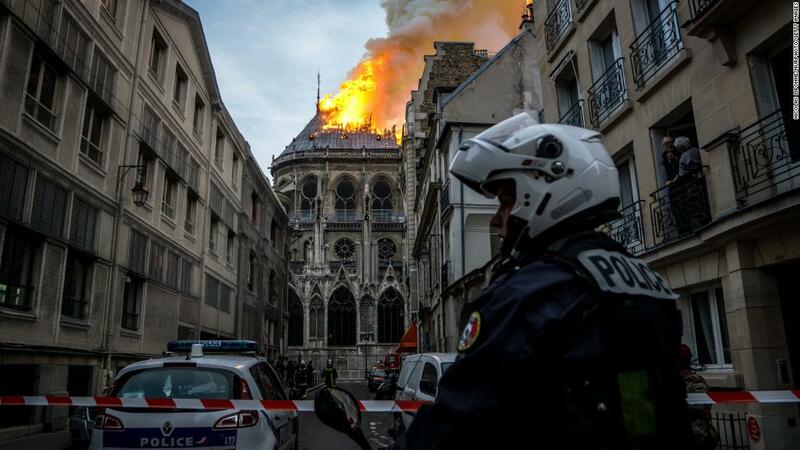 Security guards at the 850-year-old cathedral first heard the fire alarm at 6:20 p.m. local time on Monday, and evacuated the cathedral even though they didn’t see any sign of fire, a spokesman for the Paris Fire Brigade told CNN. The Crown of Thorns, believed by many to be a relic of the passion of Christ, and the Tunic of Saint Louis were saved. A copper rooster that sat atop the spire which collapsed in Monday’s blaze has been recovered intact. 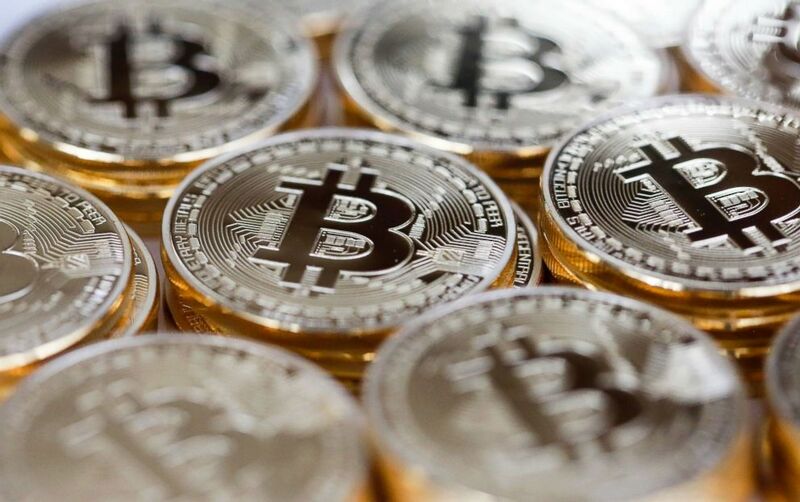 Donations towards the restoration have been rising steadily; the total raised so far for the reconstruction of the Gothic masterpiece has topped 800 million euros ($904 million), including gifts of tens of millions of euros from some of France’s wealthiest families. 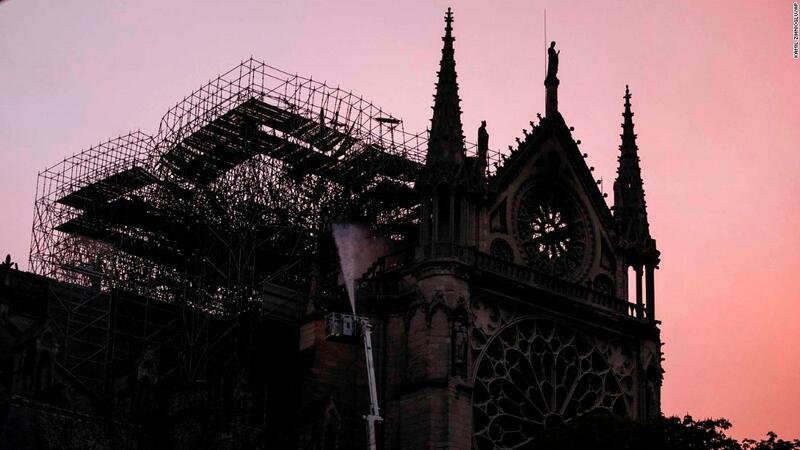 Cosmetics company L’Oréal, along with The Bettencourt Meyers family and the Bettencourt Schueller Foundation, has donated 200 million euros ($226 million) to help fund the repairs. 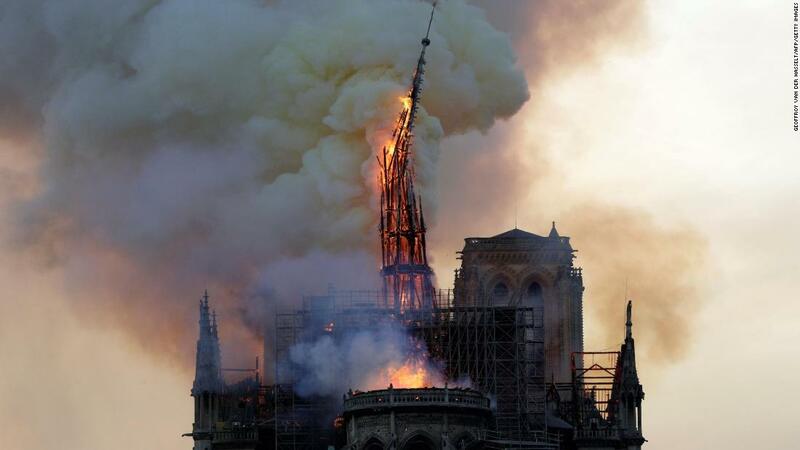 Prime Minister Edouard Philippe said the contest to replace the spire «will be organised in due course.» A committee will be set up to oversee the project and will decide whether the spire should be reconstructed or «adapted to modernity,» he said.